At the January 19th Mamaroneck School Board Meeting, the future of Co-Op Camp, a program that has been part of the district since 1968 was discussed. The program, which is funded by Mamaroneck School district, offers educational as well as recreational activities during the summer. The camp is not free as parents pay according to their economic status. The majority of the students from the camp are from low-income families, representing about 75% of the students. The camp costs the district $160,000. The board is not sure if the cost fits in their annual budget. Superintendent Dr. Robert Shaps is looking for options to keep the camp alive. One option is to restructure the camp as an enrichment program. You can watch the meeting online at www.lmctv.org. On January 15th, LMC-TV celebrated his annual New Year’s party. The festivities took place at the Hommocks Ice Rink where many public officials, community members and volunteers came together for the fun night. There was a photo booth, delicious food and ice skating. There was something for everyone to enjoy. This year’s celebration was extra-special because The Local Live celebrated its 100th episode the night before. The award-winning program tied for second place in the Alliance for Community Media Northeast Region Video Festival for Best News and Magazine Show. We want to thank everyone who shared this special moment with us. In our Round Table discussion, Maura Carlin and Jeff Meighan, president of the LMC-TV Board, (who is filling in for Mike Witsch. Mike is recuperating from hip surgery. We wish him a speedy recovery), spoke with Maria De Rose, the chairperson of the Village of Mamaroneck Ad Hoc Parking Committee, regarding the new parking meters on Mamaroneck Avenue. In sports this week, Mamaroneck hosted their 19th annual boys basketball tournament. In the Tigers first round game against Rye Neck, Miles Haugton stole the game and gets our play of the week. The Tigers would go on to defeat Rye in the championship game in double overtime to win their first Tiger Tournament since 2012. Our pet of the week is Angel, a very pretty girl who loves to run and play. She loves everyone and is very friendly. She is a little shy in new situations, but warms up very quickly. She is good with cats. She smiles like a human and is just adorable. She would do better in a home with older children or adults, but she could outgrow this with age and training. We are always looking for new interns and volunteers, so send your emails to thelocallive@lmctv.org. We love hearing from you. In our Roundtable discussion, Maura Carlin and Jeff Meighan spoke with Maria DeRose, the chairperson of the Village of Mamaroneck Ad Hoc parking committee, regarding the new parking meters on Mamaroneck Avenue. Cat Galeano highlights the rise to success of director and notable neighbor Ang Lee. At the same meeting, the Mamaroneck Village Board addressed an on-going concerns regarding animal cruelty at local pet stores. This was sparked by the arrest of Richard Doyle, the former owner of “Best Breeds, Puppies and Kittens’ on Mamaroneck Avenue this past July. Both ethical and legal concerns were discussed by Board members and residents. The proposed regulatory actions will include permits, stricter health regulations, and-or an outright ban on sales of pets from puppy mills. There will be a public hearing regarding the matter on January 20th. The VIllage of Larchmont held its much-anticipated public hearing regarding a temporary moratorium on several land use applications. As was previously reported, this comes on the heels of developer’s plans to demolish a historic house in Larchmont at 40 Ocean Avenue. The proposed local law states that no entity shall review, accept for review, hold a hearing or make a decision regarding subdivision, plan approval, and/or demolition permits. The Board of Trustees all voted in favor of the six-month moratorium. Once the law is submitted to the Secretary of State, the law will be immediately put into effect. Martin Luther King celebrations have begun in our community. On January 9th, Kay Francis Richards and Clifford Wolf were awarded the 2016 Martin Luther King, Jr. award for their community involvement with various organizations and events such as the Interfaith Council and organizing the post-terrorist memorial following the Charlie Hebdo attacks in Paris and the church murders in Charleston. The event was held at the Mamaroneck Public Library and was hosted by the Human Rights Committee for Larchmont and Mamaroneck. In local news, the Village of Mamaroneck has witnessed two recent instances of trucks colliding with the Metro-North Bridge on Mamaroneck Avenue. There were no injuries reported in either incident. In out Round Table discussion, Maura Carlin spoke with Stacy Caffrey of Larchmont Village and Lori Kupferberg regarding the moratorium. Stacy, a resident of Larchmont Village spoke at the Larchmont Village Board meeting, while Lori spoke at the Town of Mamaroneck Board meeting. 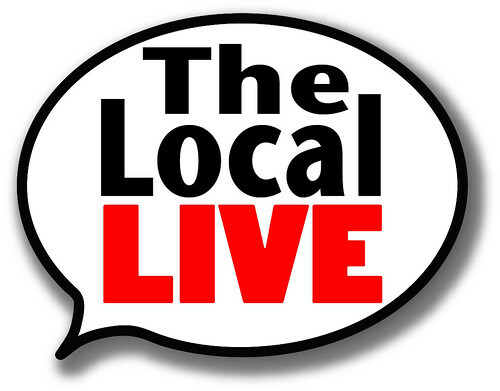 The Local Live has been following very closely one of the most controversial issues in our community: the issue of parking in the Village of Mamaroneck. At the meeting on December 21st, it was the hot topic of the night. It should be noted that in 2014, there was strong opposition from the community against the installation of Pay-By-Plate Multispace Meters on Mamaroneck Avenue. A pay-by-plate parking meter is an automated meter that manages multiple parking spaces in a given area. Either a license plate or space number is entered along with prefered time of parking. One complaint from the opposition is privacy concerns over the use of license plate reading cameras. With this aspect under consideration, the Ad-Hoc Parking Committee gave their recommendations for working toward a compromise. They recommend using the multi-space parking meters that were already purchased in various lots throughout the Village-including near Spencer Place, Hunter Street and Phillips Park Road. It should be pointed out the meters will be programmed to be used as pay-by-space meters. The next recommendation was replacing the old single space meters with single-space smart meters that have built-in card readers. Chairwoman Maria DeRose told the Journal News that the committee conducted an online and paper survey, asking the community if they preferred multispace meters, new single-space meters or make no changes on the Avenue. Of 500 responses, 85% were opposed to the use of multispace meters on Mamaroneck Avenue. At the end of the discussion, the Democratic majority passed a resolution to have a pilot to test the popularity of several models of meters on the Avenue. The trial will occur at the end of Mamaroneck Avenue near the Village office at the Regatta, where 30 spaces will be tested. Ten spaces will be covered by one multispace meter and 20 will be covered by two different single-space models from Cali and IPS manufacturers. The committee will receive feedback from the pilot installations and weigh the costs versus the benefits. The Local Live will keep watching as this story develops in the Village. You can watch the municipal and school board meetings on our website at www.lmctv.org. In our Round Table discussion, Mike Witsch spoke with Mamaroneck High School Journalism teacher, Evan Madin and two of his students, Spencer Solomon and Talia Land to discuss citizen journalism, which is people without professional journalism training can use tools of modern technology and the global distribution of the Internet to create, augment or fact-check media on their own. In the play of the week, as the first period was ending in their game against Scarsdale, Will Kirk of the Mamaroneck hockey team took the puck into the corner and passed to teammate Jason Beinstock just in time to score before the buzzer. Andrey Gordon and Jack Wells are presenting Chanukkah on Ice. The family Friendly event took place on December . Rebecca Berman takes a look at Larchmont’s Small Business Saturday. Rebecca Berman presents the second light up Larchmont hosted by the Larchmont police station and fire department. It was full of pictures with Santa, Hot coca, give aways and of course the lighting of the christmas tree. Families and Friends from the community came out to the event to celebrate the holidays with some food and music. Everyone was curious for the Tree lightning after the sunset.